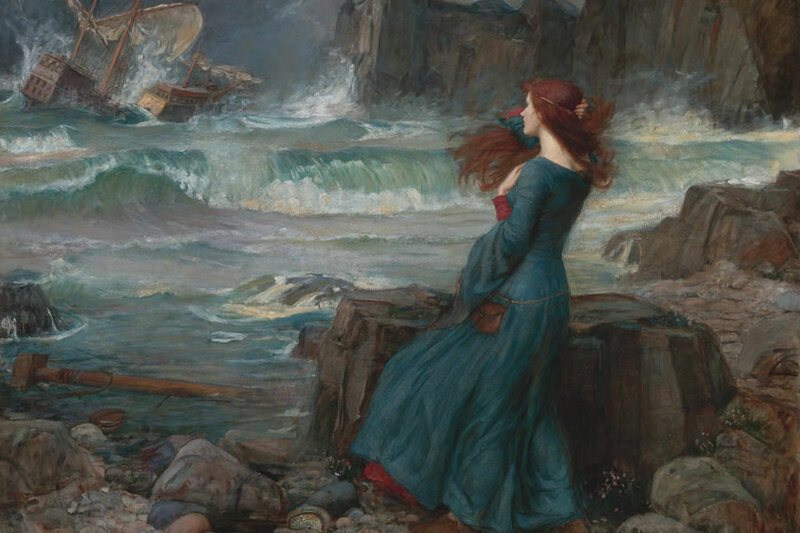 Many years ago, in one of the standard editions of The Tempest that I had ordered for my students, I read an angry little essay whose proximate target was the mage Prospero, and whose ultimate target was anyone alive, particularly men, who would uphold a view of sexual morality one or two steps higher than, "I get to do what I want." The author inveighed against Prospero's supposed "control" over the sexuality of his daughter Miranda. You may remember Miranda. She is the original Wonder Woman, that is, the woman worthy of wonder: that is what her name means, and if you are named Miranda, you are named after Shakespeare's admirable young woman; I don't know of any previous appearance of the name. "Oh wonder!" exclaims Ferdinand when he sees her for the first time. It is more than love at first sight. It is devotion, and admiration of excellence. And makes my labors pleasures. O wonder! How many goodly creatures are there here! Now the power the Miranda possesses, both as subject and object, is ineradicable from her innocence and purity, which in her assume a distinctly womanly form. I imagine that everyone has seen a man who appears unpleasantly handsome, because the vicious life he leads has begun to show in his countenance — the leering eye, the cold smile, debauchery in the lip and jowl; or a woman unpleasantly beautiful, because of a vicious life of her own — the look of a whore, perhaps, without the poverty and suffering. Miranda is what she is because of her virtue, the very thing that the feminist critic found appalling. It is as if the critic were railing against Prospero for having fed his daughter good food and given her plenty of fresh air and sunshine for the health of her body.